The ultrasonic-assisted drilling (UAD) process is being developed due to its apparent advantages over the conventional drilling (CD) process in terms of thrust force and torque reduction and improvements in surface finish and hole accuracy. However, as with CD, heat generated during UAD might affect tool life, including damage to the cutting edges of the drill. The research reported here has two main objectives: (1) finding the best technique to measure temperatures in UAD, and (2) measure the effect of ultrasonic vibrations in heat generated in UAD. 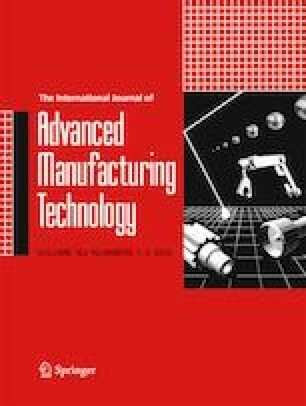 In this paper, two scenarios are used to examine five temperature measurement techniques, these being embedded thermocouples in the material, infrared (IR) sensor, IR camera, and embedding thermocouples in the drill cooling channels and surface thermocouples. It is found that embedding thermocouples in the drill cooling channels is the best and most reliable technique for measuring temperature in UAD. This method is then used to investigate the effects of ultrasonic vibrations on heat generated in UAD of aluminum 6061, alloy steel 4340, and stainless steel 316. The effect of ultrasonic vibrations on thrust force is also studied in this investigation. The authors would like to thank Edison Welding Institute (EWI) for providing the funding and equipment for this investigation.